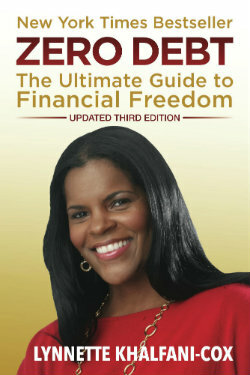 In my New York Times bestseller, Zero Debt, I outline 30 strategies that I used to get out of debt and how anyone else can do the same thing. Many people struggling with credit card debt have absolutely no idea exactly how much they owe. Instead, they just “guesstimate” their total bills — and they’re often way off with their numbers.I made this mistake when I was in debt, and it allowed me to stay in denial (and in debt!) for far too long. It wasn’t until I took an honest look at my predicament — by listing all my bills in writing — that I got serious about knocking out the debt. Get your credit reports at no cost from the three credit bureaus (Equifax, Experian and TransUnion) via the federally mandated website annualcreditreport.com. That’s where you’ll see all your credit accounts listed — mortgages, student loans, car notes, credit cards, everything. You may even find “old bills,” personal loans or collection accounts that you conveniently forgot about. But your creditors haven’t! The IRS says the average tax refund check tops $3,000. If you routinely get a big tax check back from Uncle Sam, that means you’re having way too much in taxes taken out of your paycheck and you’re giving the government an interest-free loan. Instead, adjust your W-4 withholdings at work and get that cash put back into your paycheck. If your federal tax refund does average about $3,000, you can get a $250 a month increase in your paychecks each month. Then use that extra money to pay down debt. The IRS website, www.IRS.gov, has detailed instructions on how to adjust your withholdings. Having a garage sale is a great way to raise cash fast. And since the average garage sale nets about $600, it can be a great way to help you bring in some cash and reduce your debt. Lots of us have way too much stuff that we’re not even using. So go through your house and garage, purging what you no longer need or use. Then sell those items and make some quick bucks that can go toward debt elimination. What should you sell? Unload electronics, household furniture, jewelry, clothes and accessories, toys, sporting goods, and anything else you don’t want, need or use. If you don’t want to hold a garage sale, you can sell items online through places like ebay.com and craigslist.com. 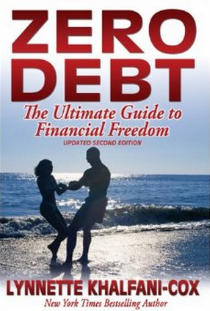 Looking for some extra money to knock out your debt? There may be free money out there for you, just waiting to be collected. Visit MissingMoney.com to find out quickly if you’re owed unclaimed money or property in any state. For example, the IRS has tens of millions in uncashed tax refund checks. Other unclaimed money includes credit balances from utility accounts, dividends, forgotten savings and checking accounts, inheritances, insurance policies, military benefits and safe deposit box contents. The list goes on and on. It even includes uncashed payroll checks and long-lost security deposits. All told, there are billions of dollars nationwide being safeguarded by state treasurers and other agencies. This money is simply waiting to be claimed by its rightful owners — in some cases, even by heirs. Money and assets typically go unclaimed when someone moves, dies or changes names, as often occurs with marriage or divorce. Searching for missing money is free of charge. So if you do track down funds owed to you, manage your financial windfall properly and use it to pay down debt. MissingMoney.com is the site officially endorsed by the National Association of Unclaimed Property Administrators, or NAUPA, which represents state governments that actively find owners while protecting forgotten funds until they’re claimed. If you’re only paying the minimum payments on your credit cards, you’re simply helping banks and other credit card issuers to get rich. Wise up and start paying well above the minimum payment that’s required on your credit card statements. There’s no hard and fast rule about how much you should pay above the minimum payments. But generally speaking, if you can’t pay off your balances in full each month, you should strive to pay as much as possible to keep your debt from spiraling out of control. It’s especially important to make payments above the minimum required if you’re continuing to use your credit cards, as most people do. When feasible, I typically tell people to shoot for paying two to three times the minimum payment. In a tight economy, this obviously isn’t always possible. If you can’t pay well above the minimum due, just pay whatever you can afford, even if it’s just $10 or $25 extra. Every little bit will help. For an eye-opener on your bills, try using this calculator from Bankrate.com. It lets you see the true cost of making just the minimum payment on your credit card debt. Also, this calculator from CardRatings.com will allow you to see your payoff term if you make a fixed amount of payments (any dollar number you set) every single month.